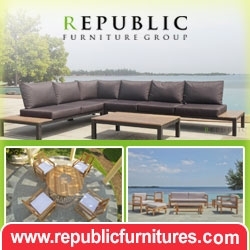 Welcome to Indonesia handicraft manufacturers, suppliers, traders and exporters directory. We are the business trade directory to promote global business for international suppliers, manufacturers, traders, exporters, export agents and brokers of handicraft, wood craft, and handmade products. 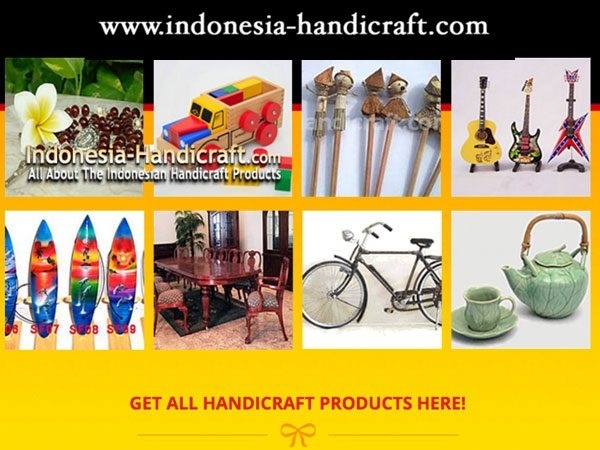 Indonesia-Handicraft.com offer various kind of crafts products, such as; wooden handicraft, wood carved, Bali handicraft, Jogjakarta handicraft, Indonesia handicraft, painting, statue, stone craft, handmade products, wicker craft, java handicraft, carving products, bamboo serving tray, mango wood vase, Indonesia pottery and many more. 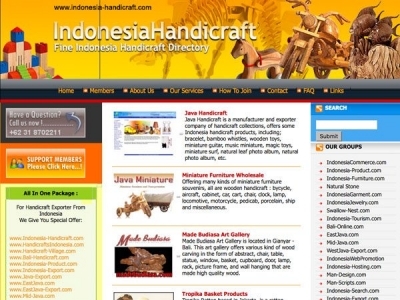 Visit this site to add your more collections about Indonesia handicraft products, Indonesia carving or Indonesia statues.